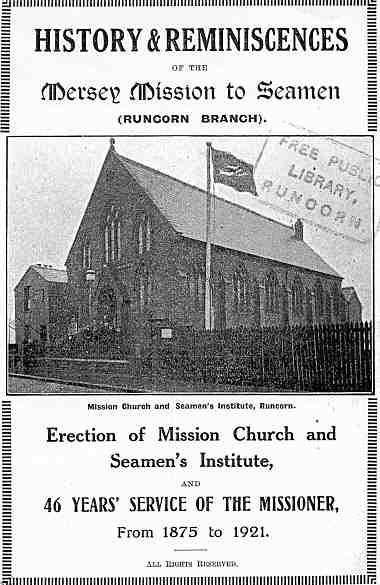 In an appreciation written by a friend of the Seamen's Institute Mission Church and Sunday school covering a period between 1875 and 1921, the efforts of a William Shaw are related in some depth. 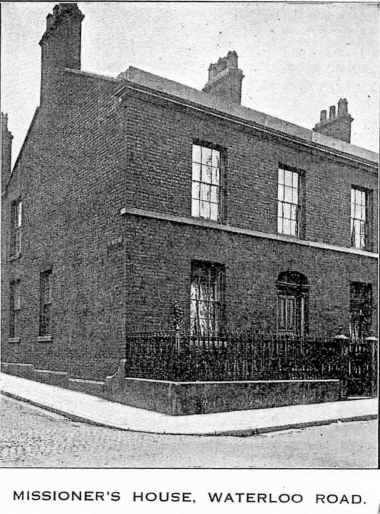 Taking over the old St. Peter's Mission Room at Bottom Locks, the town committee of the Mersey Mission to Seamen installed William Shaw as their missioner on 12th July 1875 and he remained in this post some 46 years. 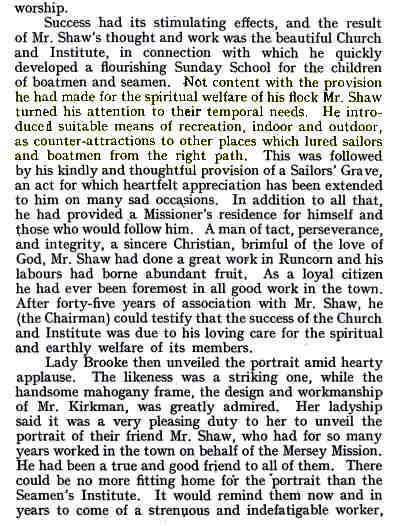 In addition to praising his efforts in the development of a beautiful church and institution, reference is made to a flourishing Sunday school for the children of boatmen and seamen and Shaw's provision of suitable means of recreation, indoor and outdoor, as counter-attractions to other places which lured sailors and boatmen from the right path. Both Starkey and Mullin comment on other Runcornians' attempts to offer alternative social outlets to the public house quoting the existence of literary societies, university extension courses, Co-operative Society lectures, horticultural societies and naturalist field clubs. Every church had choirs, staged concerts and formed debating societies. In the years leading up to the First World War there was roller skating at Hope Hall. The "Sons of Temperance Cycling Club" had a large membership as did the "Tally-Ho Athletic Club". Rugby union was played at Canal Street until 1895, when Runcorn became one of the 22 northern teams to leave the Rugby Union to form a professional rugby league. 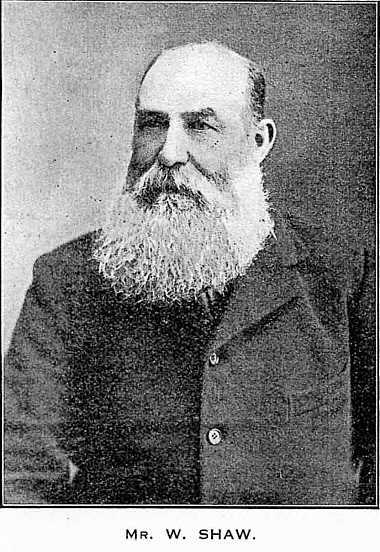 Another Runcornian, Walter Littler, the author of "A Victorian Childhood" published by his daughters in 1997 almost 40 years after his death recalls his involvement with the Camden Sunday school where such organisations as the "Wesley Guild", the "Young Man's Club", the "Boys' Brigade" and - a particularly strong feature - the "Band of Hope" met. He recalls signing the pledge and confesses to having written an essay on the subject of "Alcohol and Digestion" for which he received a certificate from the Lancashire and Cheshire Band of Hope Union in 1892. Next page "Some Conclusions and Thoughts"